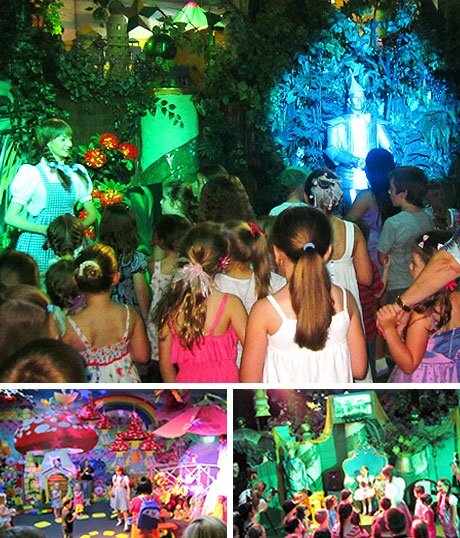 Frank Baum's story comes alive at the Funland with character voices, special sound & lighting wizardry. Enter Dorothy's house and let the lovable world of Oz surround you as a squeaky-voiced Munchkin welcomes you to Munchkinland. It's a truly magical experience as, aided by the latest technology and some beautiful storytelling, you walk in the footsteps of Dorothy, Scarecrow, Tinman & Lion down the yellow brick road. Be prepared for some surprises along the way before you click your heels 3 times and say "There's no place like home!" 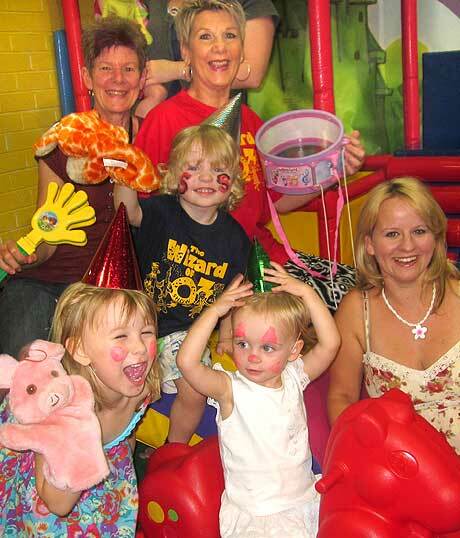 Don't miss this yellow brick road paved with lots of fun, singing, dancing & wacky characters. It's the only one of its kind in Australia! Actually travel through Munchkinland, Cornfield, Forest & Emerald City with Dorothy, Scarecrow, Tinman & Lion as they go off to see the Wizard. Meet the Munchkins, Wicked Witch & Glinda the Good Witch in this hour-long, new re-telling of Frank Baum's classic story, written by Brian Laul. 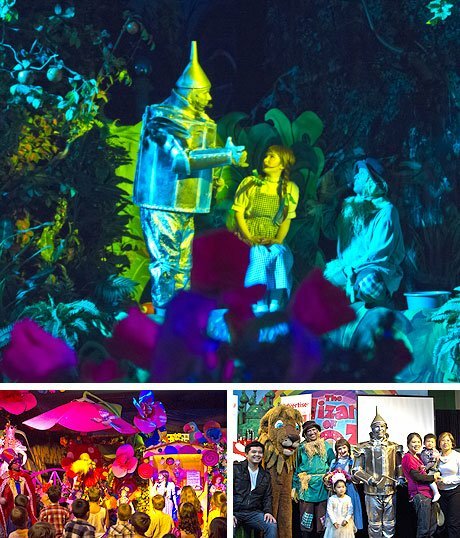 The Wizard of Oz Adventure Show is about more than giving kids a good time. It spreads a message of hope and self-esteem to the young. Come dressed as your favourite Oz character. Lots of great photo opportunities after the show. There's a Royal Wedding on at the Funland! This fun and interactive version of your favourite fairy tale offers loads of sing-along fun and dancing with the adorable Cinderella, her wicked Step Sisters, magical Fairy Godmother, King Toodle Doo, Prince Charming, Thelma the talking puppet teapot and the lovably silly Prime Minister Kazoo, in an action-packed hour. 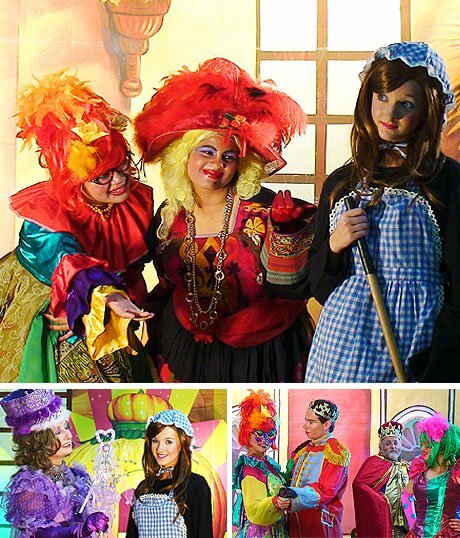 Actually travel through Cinderella's house, Backyard, Magical Forest & Palace in a show that sparkles with captivating comedy and catchy songs. Self-image is important for children and Cinderella provides a great role model of what happens when you act in positive and loving ways. Come and play in 'real' falling snow, meet Santa and enjoy a real Christmas Wonderland. 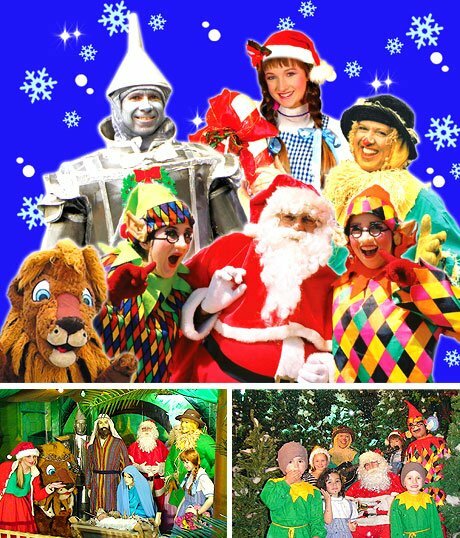 Santa takes The Wizard of Oz Gang & YOU on a rocking Christmas Adventure that's interactive, full of fun and really magical! Help Santa find the pieces of his big Christmas jigsaw puzzle as you actually travel through Santa's Workshop, Enchanted Tunnel, Christmas Tree Forerst & lifesized Nativity. Sing & dance to all the Christmas favourites in this show that's bigger, snowier and jollier than ever. There’s chaos in Nursery Rhyme Land after Wonky Wizard has cast a wicked spell over the kingdom. Old King Cole’s crown won’t stay on his head anymore and his throne keeps running away from him, Jack-Be-Nimble has been turned into a statue, Mary has lost her faithful lamb….. Even Super Winston fails to save the day! Only YOU and Princess Lily can help Funny Bunny and his best friend Bushman Bob set everything right in this exciting, highly interactive show with lots of singing, dancing and wacky characters. Presented by the team behind The Wizard of Oz Show (that has done over 3500 succesfully shows around the world), this magical new show has been written especially for parents to enjoy with their children.